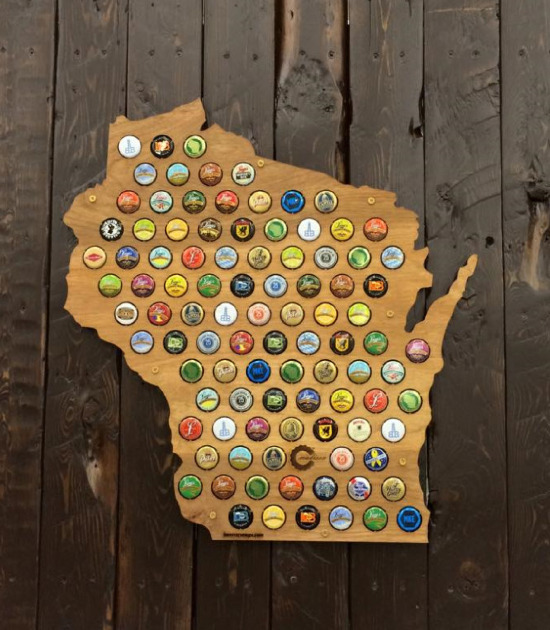 A Beer Cap Map is a unique alternative to a wedding registry that allows your guests to create a personalized piece of art for you to keep and treasure forever. You can provide your guests with blank bottle caps to sign and pop into your map, and even include the beer caps from the drinks your guests finished at your reception! After your wedding day the Beer Cap Map will have the messages from guests and collective memories of your day for you to include with your wedding pictures in your home.The maps also make a great gift for groomsmen, especially if you have friends from different states participating in the wedding party. All 50 states and several countries are available at www.beercapmaps.com.